Kick start your weekend break with a glass of Prosecco on arrival! 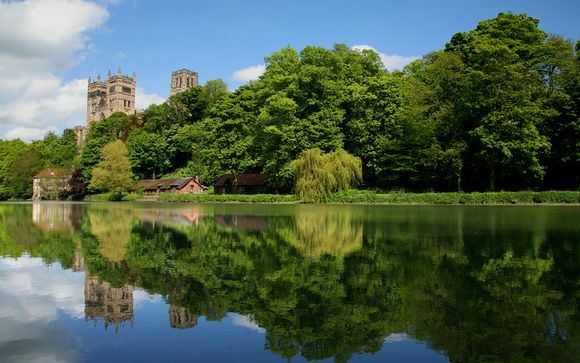 Durham is an amazing county - explore breathtaking scenery, discover award-winning attractions and enjoy world-class exhibitions, festivals and events. From city breaks to coast and countryside escapes - a warm welcome awaits. Durham City is home to one of the most recognisable landmarks in the UK, majestic Durham Cathedral. Together with adjacent Durham Castle, this UNESCO World Heritage Site forms one of the most stunning city panoramas in Europe. And in 2016, you can be one of the first visitors to explore Open Treasure, the Cathedral's brand new world-class exhibition spaces opening this spring. The county is home to many more treasures too; step back in time at fascinating heritage attractions, or seek out hidden gems in market towns and villages. Relax and enjoy peace and tranquillity, or get outdoors and active with walking and cycling routes revealing unforgettable views. Don't miss fantastic events across the county, including international cricket, fascinating exhibitions and the unmissable Kynren - an epic tale of England, which opens in Bishop Auckland in July. Overlooking the River Wear, Radisson Blu Hotel, Durham presents a prime location. Voted “Best City in the UK” by Conde Nast Traveller, Durham has all the culture and charm you’re looking for in an English town. Find UNESCO World Heritage sites Durham Cathedral, Durham Castle and Durham University less than 3 kilometres away from this hotel’s location in Durham. Guests will find clean, modern styling and access to 4-star amenities with all room reservations. The Filini restaurant offers on-site convenience of delicious Italian fare, and The Bar serves lunch and great drinks until 1 in the morning. Enjoy helpful services like on-site parking, Express Laundry and One Touch Service. The Standard Durham accommodation features coffee and tea provisions and individual climate control to ensure a comfortable visit. 25 square metres provide plenty of space for guests. The room also offers free highspeed wi-fi, climate control and a laptop sized safe. Start the day off with Collage’s renowned Super Breakfast Buffet, offering 40 hot and cold items. This contemporary grill-style restaurant also offers dinner with a variety of international and regional cuisine. Choose from sizzling steaks, British favourites or a great burger. 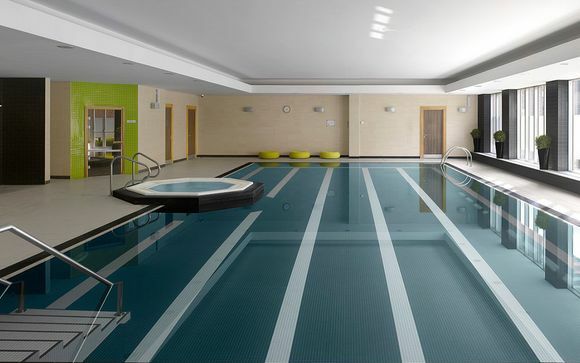 The hotel's PACE Health Club in Durham is a state-of-the-art fitness centre open to local residents but free for hotel guests. Inside you’ll find a gymnasium, new Life Fitness Cardio SE equipment, a 15m pool, Jacuzzi, sauna and steam room. Take advantage of personal trainers to take your workout to the next level or provide fitness advice. Located on the ground floor, Lime House Spa in Durham invites you to escape the stresses of the daily grind. Expert therapists deliver an assortment of services designed to renew and revive in an earthy tranquil setting. Experience ultimate relaxation with a massage or facials. Then indulge in beauty treatments like a body wrap or pedicure. 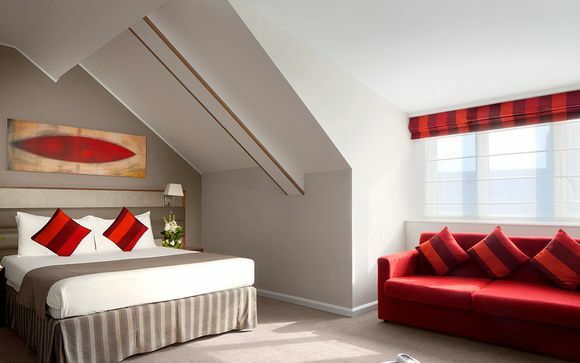 The hotel is approximately 25 miles from Newcastle International Airport and 28 miles from Durham Tees Valley Airport. The hotel is approximately an 8 minute walk from Durham Rail Station. From the A1(M) North and South, leave the motorway at Junction 62, take the A690 signposted for Durham. At the roundabout take the 2nd exit and continue towards Durham City Centre. At the next roundabout take the 2nd exit over Milburngate Bridge. Take the 1st exit at the roundabout following signs for Radisson.